Users are strongly influenced by the aesthetics of a product, even when they try to evaluate the underlying functionality. Aesthetic designs look easier to use and have a higher probability of being used, whether or not they actually are easier to use. Poindus design is heavily focused on combining beautiful aesthetics with performance and functionality. The VariPOS 2 Series pushes the limits of design and functionality with the slim panel design and a robust base, combined with integrated peripherals that merge seamlessly into the design ensuring no impact on the aesthetics. 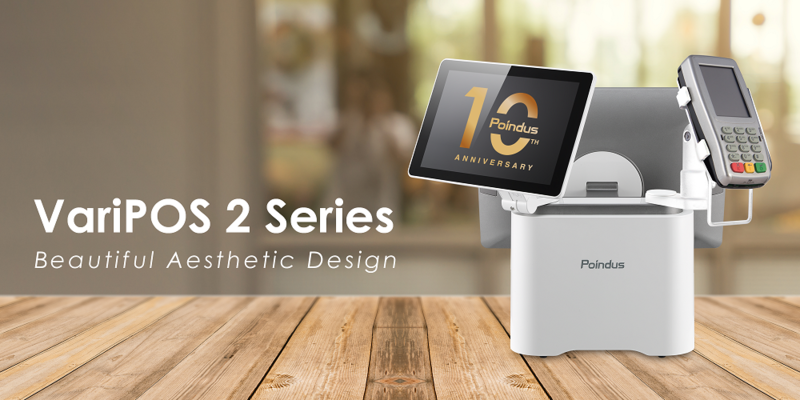 The modern and minimalist design of the VariPOS 2 Series will continue to look elegant with any retail Store Brand image well into the future.